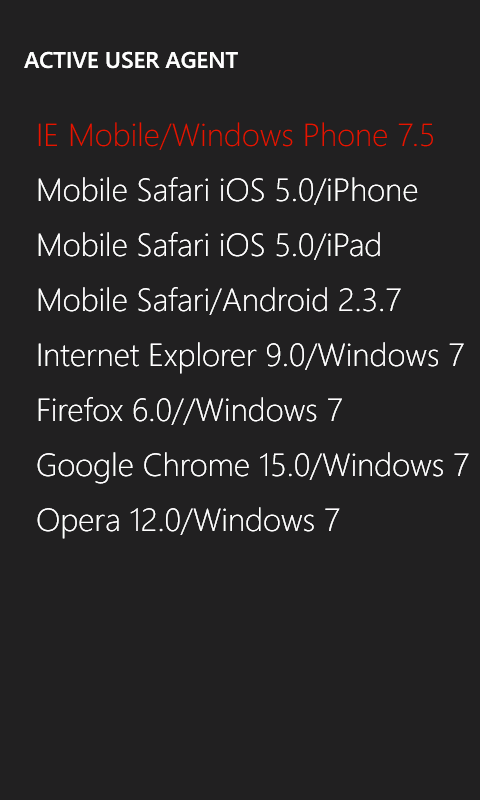 Tired of browsing sites that display incorrectly on your Windows Phone or, worst of all, are restricted to the default browser? 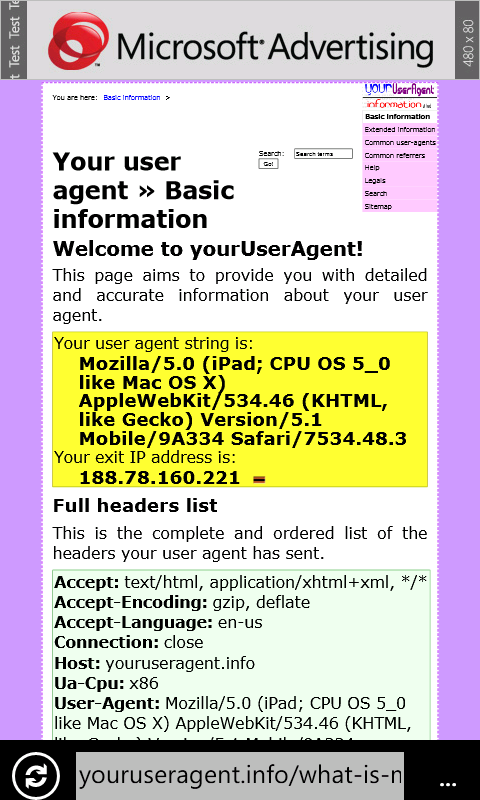 With Agent Browser you can select the user agent string sent by your phone and see the web sites exactly like in your desktop PC, and even Android or iOS devices. Lite version is fully functional, and displays ads in the upper screen section. 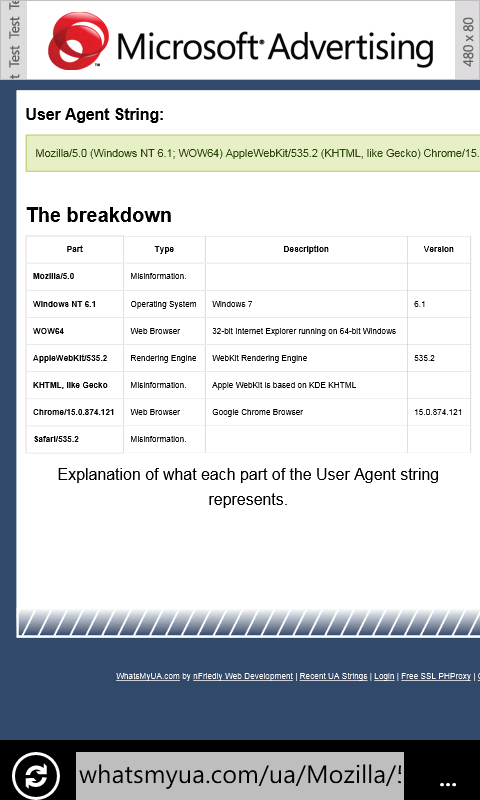 Lets you select the user agent string sent when browsing. Choose between iPad, iPhone, Android, and many desktop browsers. 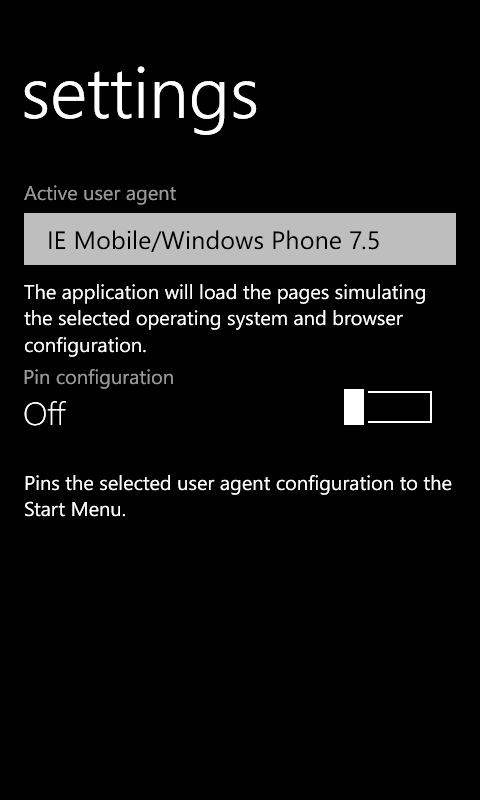 Pin user agent configurations to the Start Menu for fast application startup.